GOKPOP | Exclusive K-News in Malaysia & Singapore: FT Island, MONSTA X, Boyfriend, AOA, EXID, WJSN & Jeong Sewoon to perform at KWAVE3 on 18 Aug! 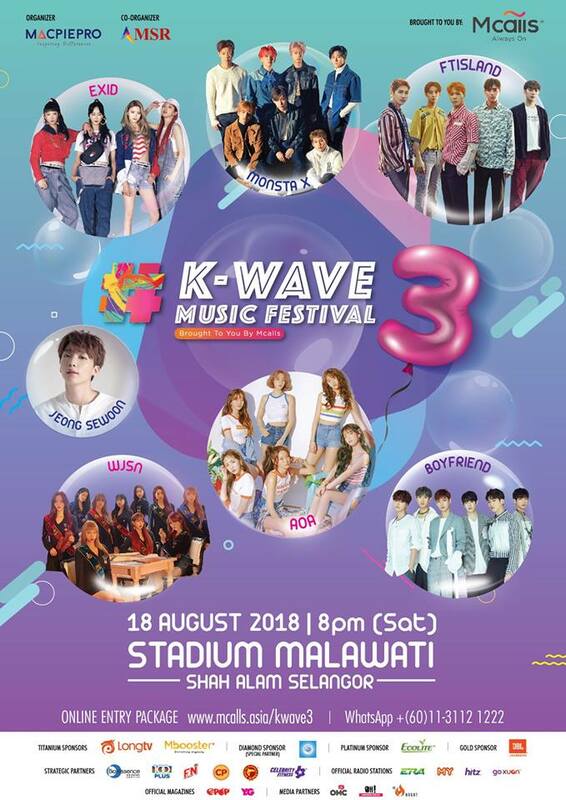 FT Island, MONSTA X, Boyfriend, AOA, EXID, WJSN & Jeong Sewoon to perform at KWAVE3 on 18 Aug! After months of waiting for the official announcement. 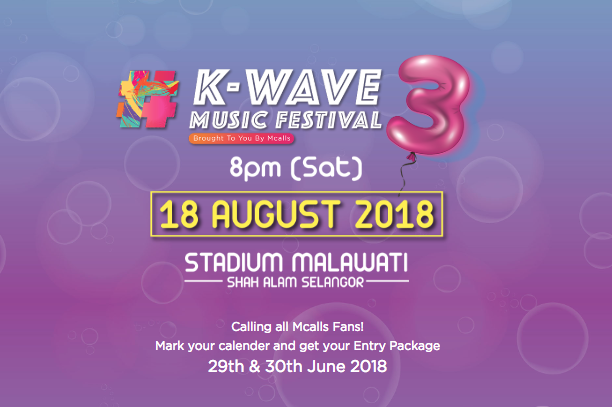 MacpiePro finally announced the full line-up of K-WAVE3 Music Festival! Early this year, K-fans who attended K-WAVE2 were given a surprise as the organiser released MONSTA X's greeting video and announced to return with K-WAVE3. What's happier than line-up announcement? 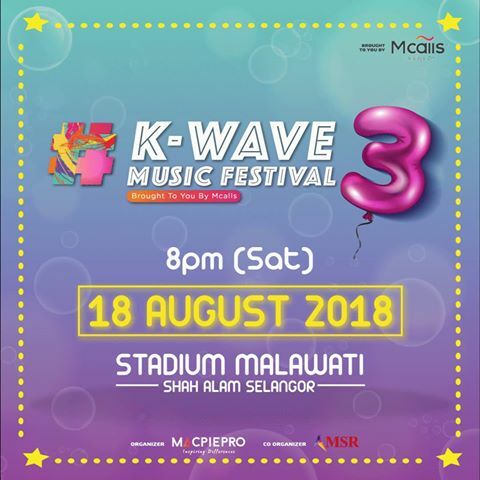 MacpiePro announced K-WAVE3 will be held on 18 August with a total of 7 groups - FT Island, MONSTA X, Boyfriend, AOA, EXID, WJSN and Jeong Sewoon. The general public sales will start on 1 July but Mcalls fans, you have the priority to purchase the entry package 2 days before the public sales! How to purchase the exclusive entry package? Step 1: Log into your MMspot and choose Ticketing. Step 3, Pick a location you wish to collect the Entry Packages. Step 4: Click confirm and done! *you can enjoy great deals when using MMspot to purchase. More info, check out HERE!